Shoppers looking for a quality midsize sedan naturally look at the 2017 Ford Fusion vs 2017 Toyota Camry. The two vehicles share many qualities, and at first might appear to be quite similar. But this comparison is more than just the issue of Ford vs Toyota. Several key differences make a big impact on how you enjoy your ultimate purchase decision. 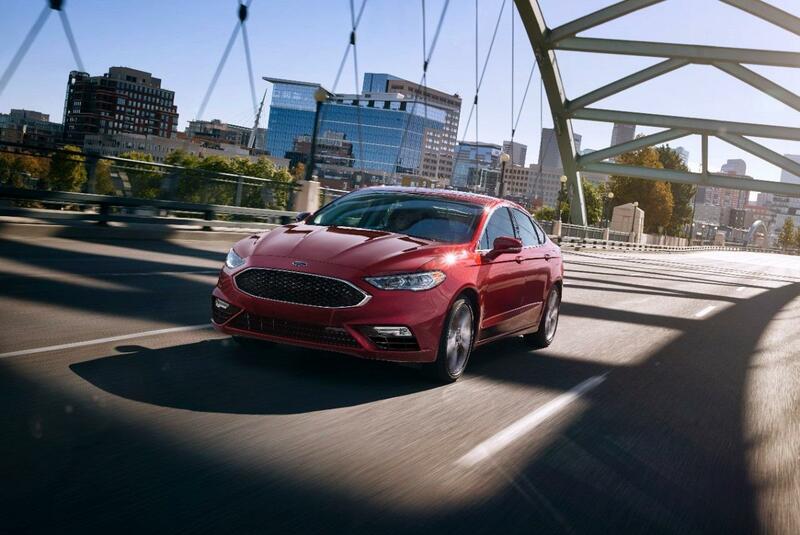 While you can get both cars with fuel efficient engines, the Ford Fusion serves up some additional options you just can't get with the Toyota Camry. In fact, many of these performance features distinguish the Ford Fusion vs the competition in general. Only Ford offers EcoBoost technology. This clever design combines turbocharging with direct injection and independent variable cam timing. As a result, they provide greater efficiency and performance. As the most potent example, the 2017 Ford Fusion Sport packs a 2.7-liter EcoBoost V-6, which produces 325 horsepower and 380 lb.-ft. of torque. The Toyota Camry can't even come close to that. The sedan also features all-wheel drive, something you can get on other Ford Fusion models as an option, but can't get on any Toyota Camry. Both cars come with airbags, reinforced passenger compartments, crumple zones, traction control, ABS brakes, and quite a few other safety innovations. You can also add advanced systems such as blind spot monitoring, rear cross-traffic alert, etc. to either the Ford Fusion or Toyota Camry. One big difference between the two is the available inflatable rear safety belts for the Ford Fusion. They work for both rear outboard seats by inflating in a crash, somewhat like an airbag. This distributes crash forces across a greater area of passengers' torsos, helping to cut down on the risk of injury. In addition, the inflatable belts help hold people upright and in place, keeping them clear of additional dangers. Only Ford offers this technology, meaning you absolutely can't get it on the Toyota Camry. More differences emerge when you look at both vehicle interiors. For example, the Ford Fusion has a rotary gear shift dial, instead of the more traditional shifter found in the Toyota Camry. This design makes for a lower profile, plus it takes up less space so you have more room for cupholders and a USB port in the center console. By selecting Sync 3 for the Ford Fusion, you get an infotainment experience like none other. Thanks to updated hardware and software, it outperforms anything you can get on the Toyota Camry, providing lightning-quick responses. Unlike with other systems, you can access features using natural voice commands, instead of needing to memorize unique phrases and speak slowly. Enjoy even more conveniences on the go with Sync Connect, available for the Ford Fusion. Using your phone, track the exact location of your vehicle at any time. Lock or unlock the doors remotely. Start the engine and cool down or heat up the interior before you get inside. You can also check the fuel level, estimated driving range, etc. in advance, making it easier to plan journeys. Now that you know about the advantages of the 2017 Ford Fusion, contact your Southern California Ford Dealers for more details.